The Japanese company Meiwa has just signed an agreement with the authorities of Meru County in central Kenya, for the transformation of waste into fertiliser for agriculture. It is with the governor of Meru, Kiraitu Murungi, that the Meiwa officials signed an agreement for the recovery of waste in this county populated by more than 240,000 inhabitants. The Japanese company plans to install a unit in this region of central Kenya to transform waste into organic fertilisers for the soil. Specifically, the company will treat sewage sludge, food waste, sawdust, agricultural waste, animal manure and water hyacinth. All these organic wastes will be used to produce biochar (bio and charcoal). It is a mixture of wood and other crushed waste that is generally used in arid or tropical regions. In addition to being a very good fertiliser, biochar is also used to restore soils and to fix carbon. In some cases, it can be used as a fuel to limit pressure on old-growth forests. 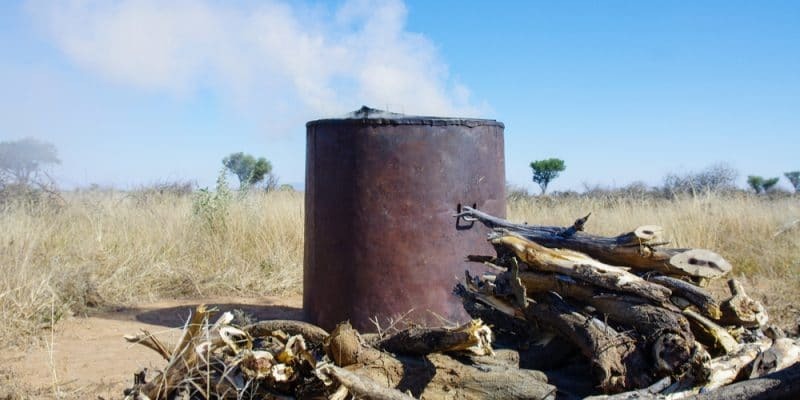 The biochar that Meiwa will produce will be useful for farmers in semi-arid areas such as Tigania East and West, Buuri, Igembe and parts of Imenti Central… all in Kenya. Before deciding to locate its processing unit in Meru County, Meiwa conducted a feasibility study that proved conclusive, according to Lucy Koyama, the company’s business manager for Africa. “Our team assessed the potential of different input biomass sources and the ability of biochar to optimise fruit and vegetable production,” she explains. “We will soon be conducting research on the beneficial effects of biochar on coffee and tea growing, among others,” she added. In the Meru region, several farmers produce tea for export, an important crop for Kenya’s economy. The country is the world’s largest exporter and the third-largest producer after China and India. No wonder then that Meru Governor Kiraitu Murungi said the county government would facilitate the company’s work on the field. The pilot factory will be built in Meru, with the assistance of the JICA. The Japanese company Meiwa plans to expand factories in other counties in Kenya but it will be up to local governments to allocate funds for their installation. The company plans to use Kenya as a rear base to conquer East Africa.